It is estimated that 136 million children globally experience clinical attention difficulties. In some cases, this is diagnosed as attention deficit hyperactivity disorder (ADHD), with an estimated one in 20 Australian children having ADHD. According to the Royal Children’s Hospital Melbourne (RCHM), the condition has the potential to affect a child’s learning and social skills, and even how their family functions. As the RCHM puts it, “the most effective treatment for the symptoms of ADHD is stimulant medication, and it has been the standard treatment for children with ADHD since the 1980s”. Taking an alternative approach to the treatment of attention difficulties is ASX-listed healthtech Novita Healthcare with its Tali business. As Glenn Smith, CEO of Novita Healthcare, explained it, Tali Health provides engaging software platforms and game-based apps to assess and treat core childhood difficulties, such as inattention, and improve cognitive and academic performance. 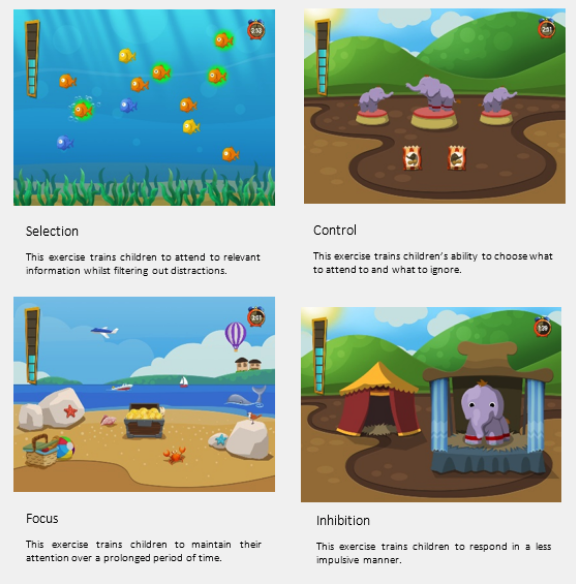 Among its solutions is Tali Train, a game designed by a team of neuroscientists at Monash University based on a 20 year research program, that aims to improve attention and numeracy by “strengthening underlying attentional processes”. “Unlike psychostimulant medication, such as Ritalin, which aim to reduce symptoms of attention difficulties, such as inattention and hyperactivity, Tali Train is based on the concept of neuroplasticity and therefore builds and strengthens attention networks at the brain level to promote stable improvements in children aged 3 to 8,” Smith explained. The drive to create the program, Smith said, came from the fact the company had identified both a lack of “suitable non-pharmacological interventions” to treat inattention, and growing evidence that targeted training can have a positive effect on such problems. “Cognitive training using game technology has increased exponentially and, while its use is well established in adult populations, relatively few technologies have capitalised on the accessibility of portable touch-screen technology to develop a therapy for young children,” he said. The six year journey to creating a commercial product out of the university research has been helped along by the fact the original partners have remained a close team, Smith said. One of the key challenges the team has faced along the way is differentiating Tali Train from all the ‘brain training’ apps out in the market, which Smith believes are “predominantly developed without any scientific direction and evidence behind their claims”. To do this, Tali Health actively promotes the findings of the clinical trials it has conducted to evaluate its program; according to Smith, over 170 children, both with and without developmental disorders, have taken part. “TALI Health’s strong relationship with Monash University has resulted in further research trials that aim to assess whether Tali Train is beneficial to children with traumatic and acquired brain injuries. It is the quality of the research that underpins Tali Train that launches the program above other tools that claim to improve attention or associated skills,” Smith said. As Smith explained it, for children using the program Tali Train doesn’t feel like a therapy or treatment, but rather “a fun outcome-based experience” as they are taken through games that train their attention through selection and focus skills. The program runs across five weeks, with children completing five training sessions each week. Tali trains children’s ability to maintain focus on a task, prevent impulsive behaviour, avoid fidgeting and switch between tasks, avoid distractions, concentrate while learning something new, and improve learning at school. “TALI Train provides verbal and visual reinforcements through the exercises to encourage and motivate children. In addition, game-based features such as interactive characters and storylines are incorporated to increase engagement with the program,” Smith explained. The app can measure results and report them back to clinicians, who in turn can share this data with parents. With the company looking to distribute its program via various providers, Tali Health in April had a “controlled commercial launch” for Tali Train, which targeted 108 clinicians, Smith said, primarily psychologists in Victoria. From there, they had a take up rate of 50 percent, with 54 becoming certified providers. The company was then in May approved as a registered provider by the NDIS, meaning Tali Train is available through the NDIS. TALI Health is just one of a growing number of healthtech businesses in Melbourne, which was identified by a recent Startup Genome ecosystem report as a hub for innovation in the health and life sciences spaces; more than 40 percent of ASX-listed life science companies are based in Melbourne. In Smith’s view, this growth is due to strong collaboration between the private and government sectors, along with strong long-term university engagement. “The Melbourne Biomedical precinct is a prime example of this strategy and success on show every day,” he said. As it looks to further assist children, Tali was last year awarded a development grant that will go towards extending Tali Train to new users, such as children with acquired brain injuries and typically developing children, and another grant to develop Tali Detect, a tool to assist in the detection of inattention in early childhood. At the same time, the team will also be working to spread word of the program to healthcare professionals, educators, and parents across Australia and encourage access, either direct or via the NDIS.